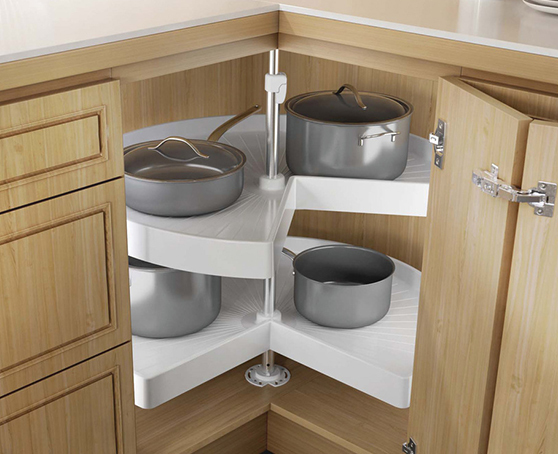 This corner system by Hafele is completely customizable. 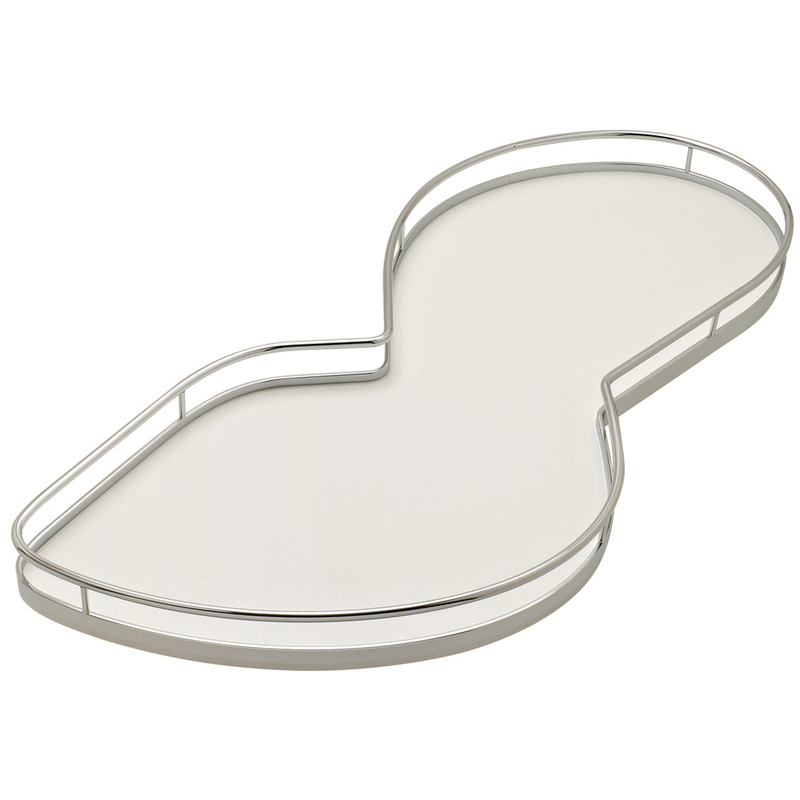 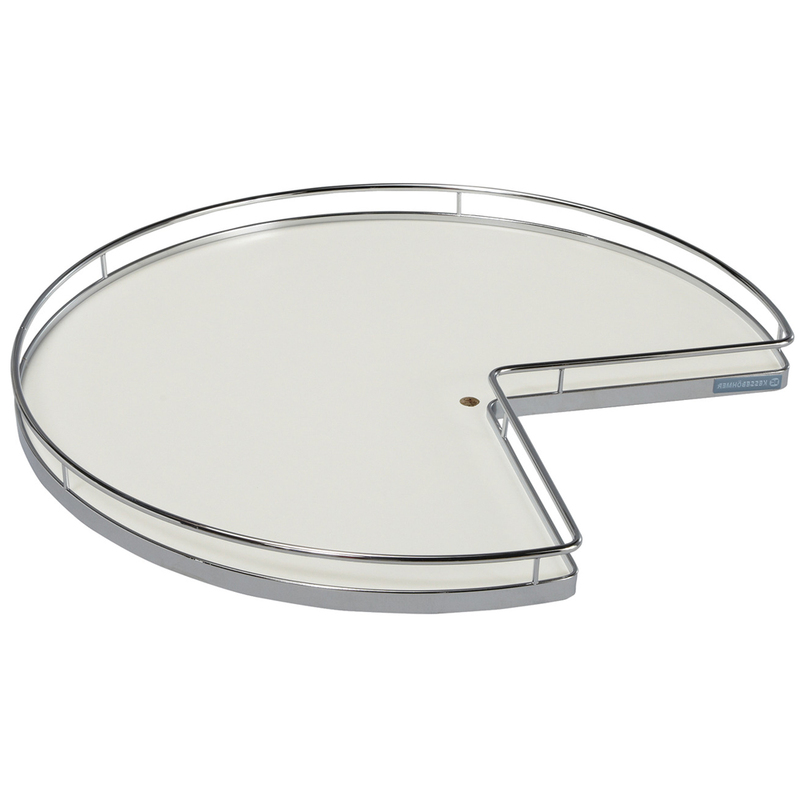 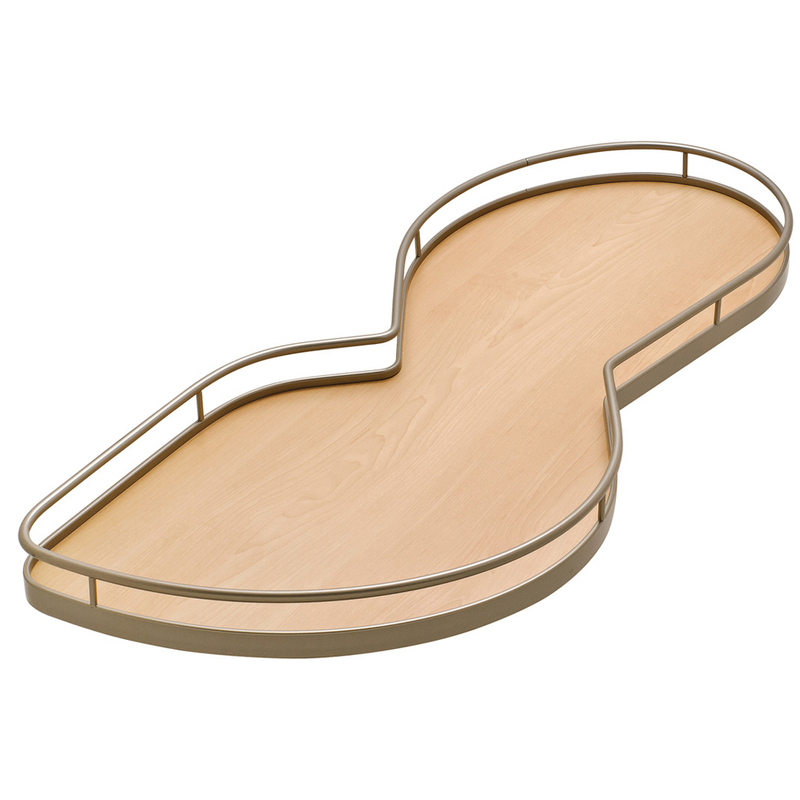 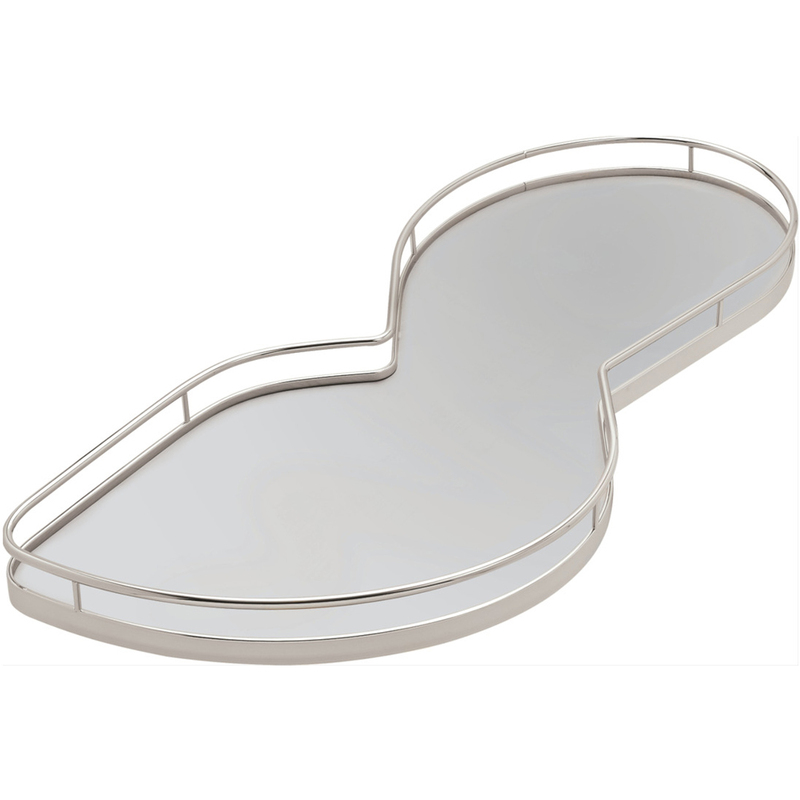 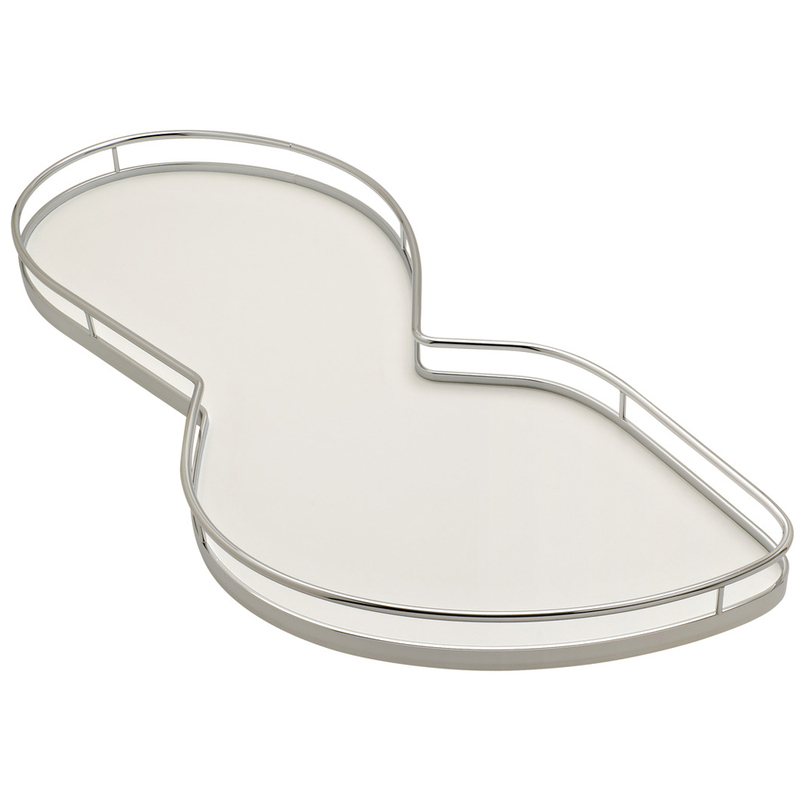 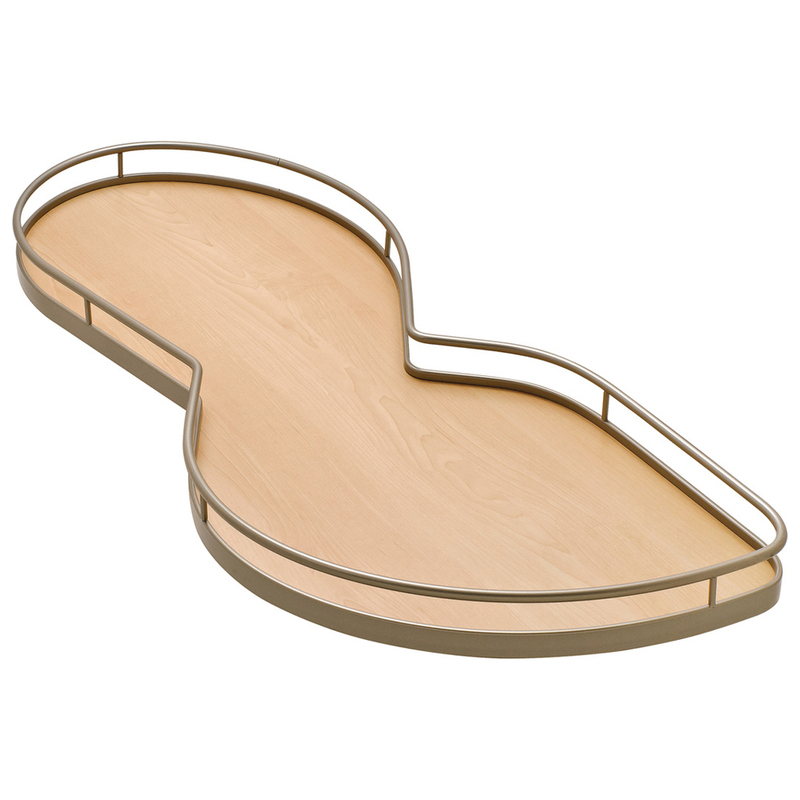 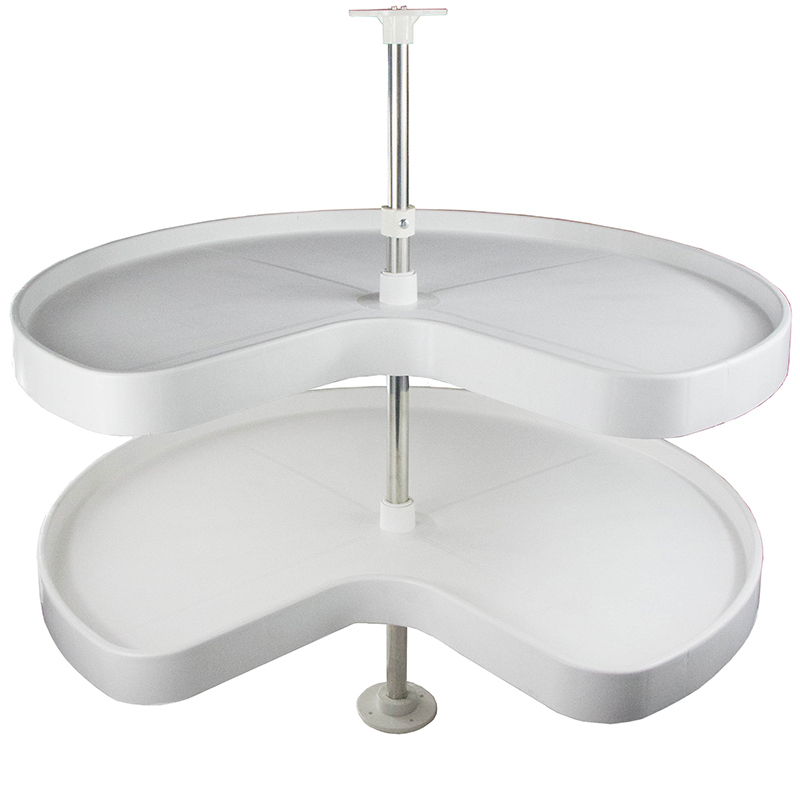 The trays are available in 2 different sizes for framed and frameless cabinets. 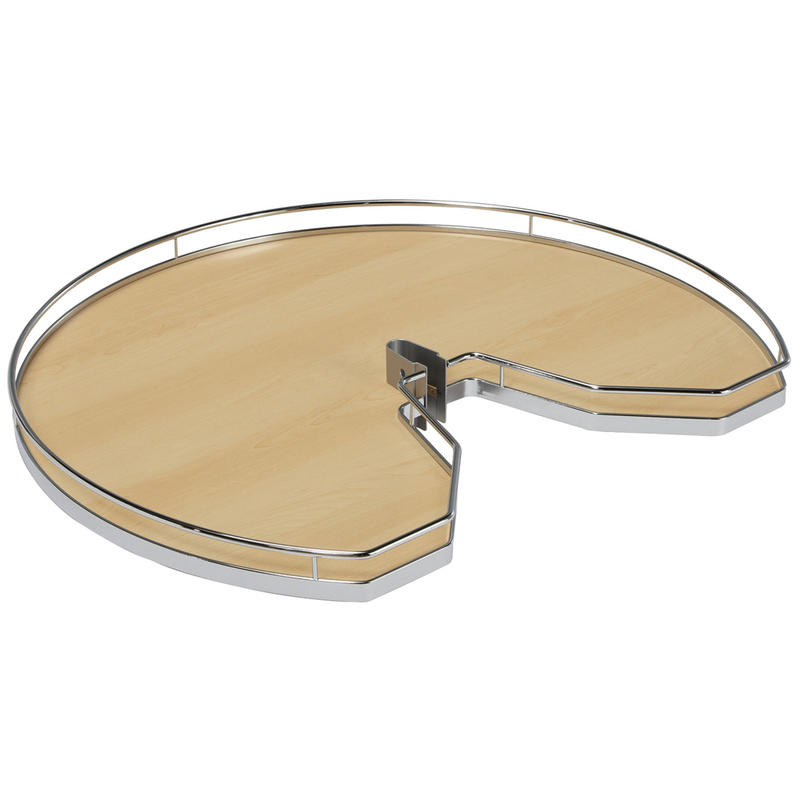 These corner systems work with overlay and inset doors. 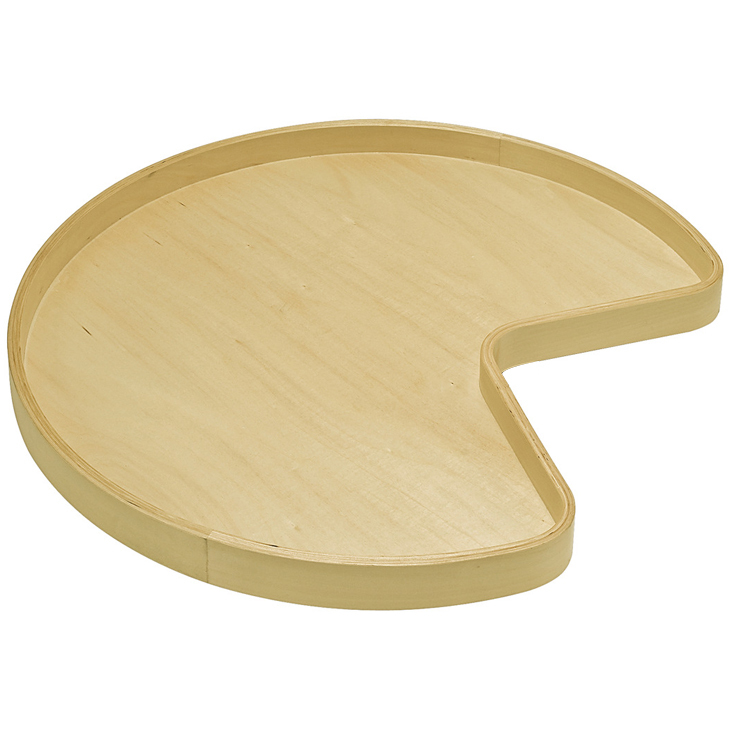 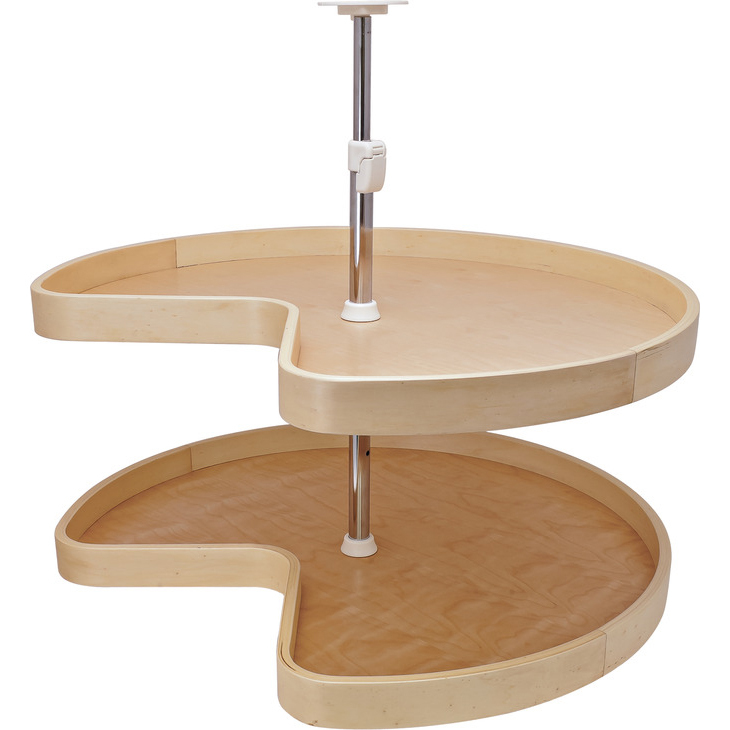 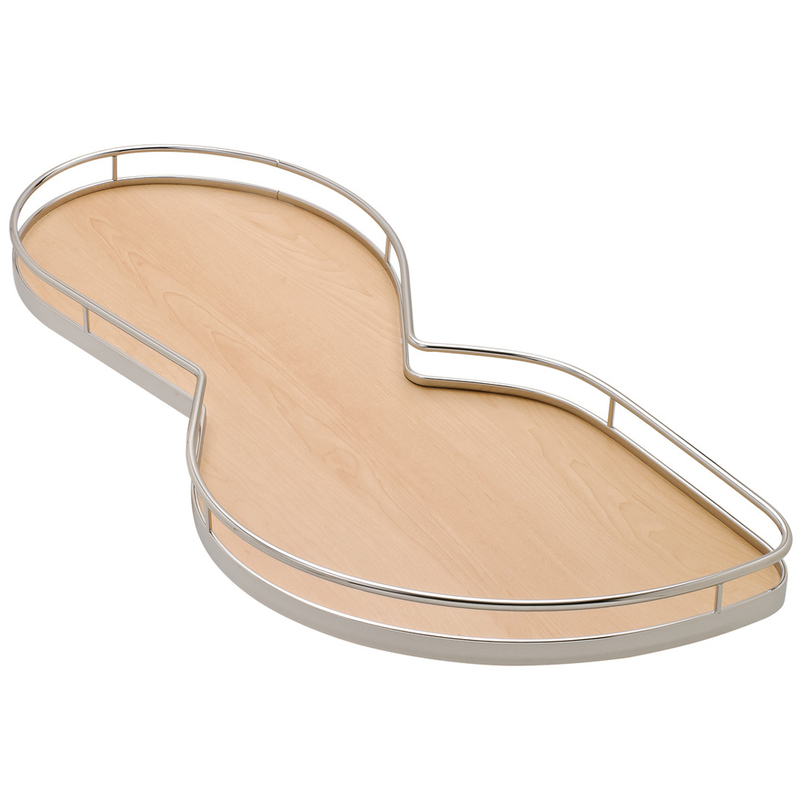 Functional, efficient storage in traditional, durable wood features 360 degree rotation for easy access. 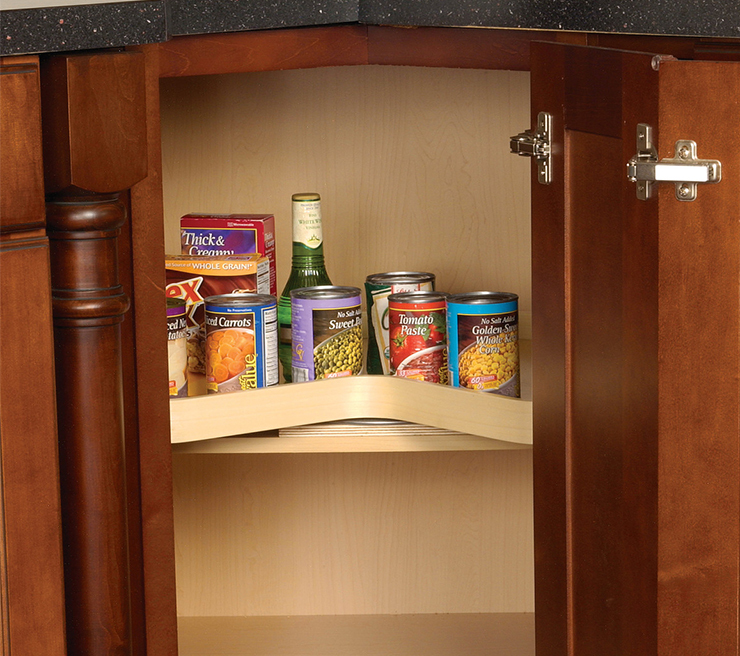 Shelf height can be adjusted to clear door hinges. 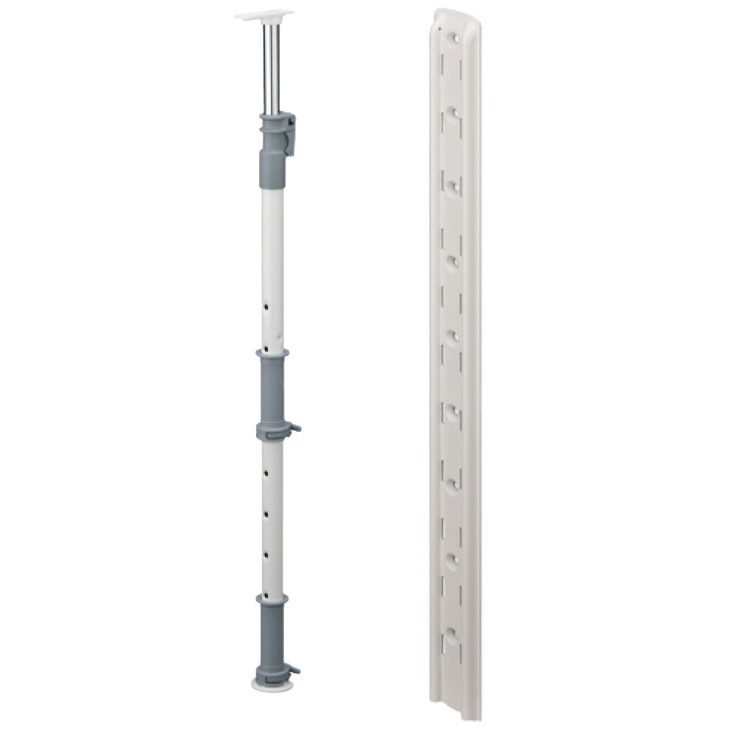 For use behind higed doors. 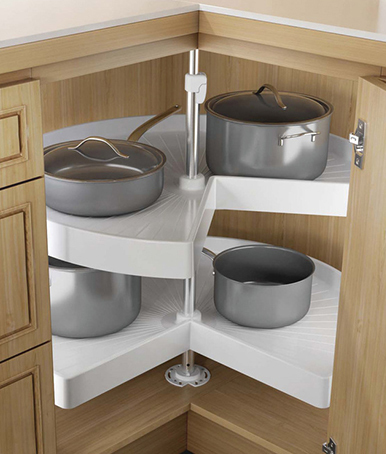 This corner system by Hafele is completely customizable. 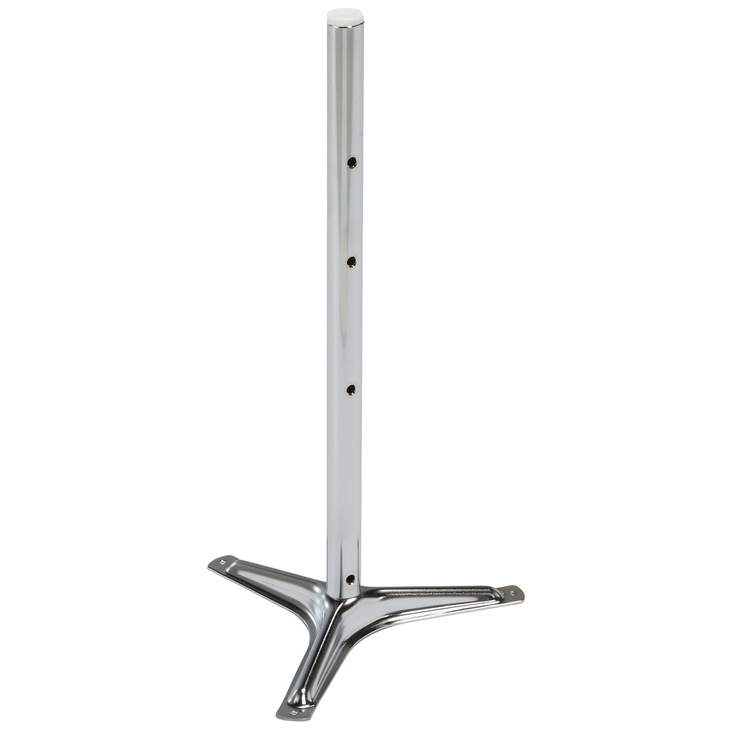 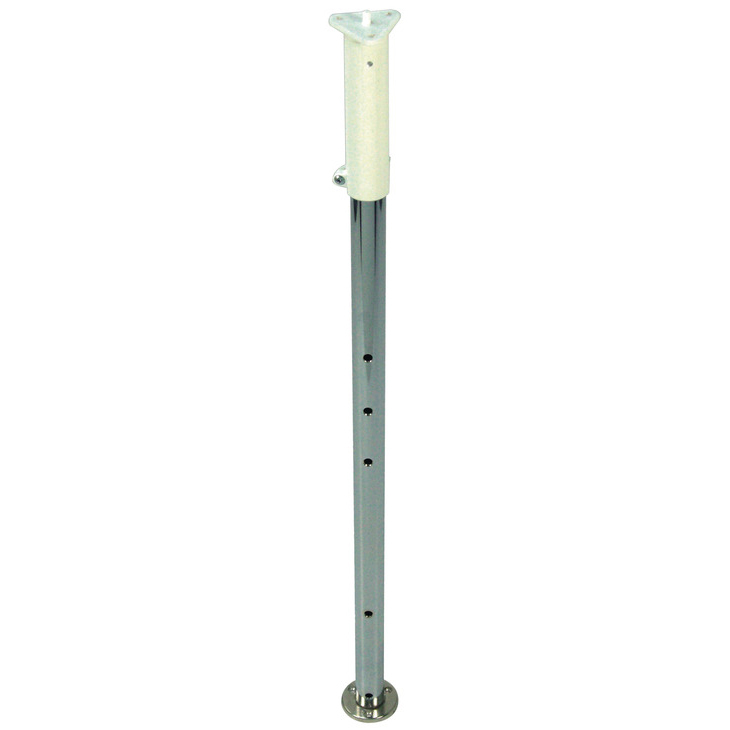 Choose from a bottom mounting center post or a height adjustable post for top and bottom mounting. 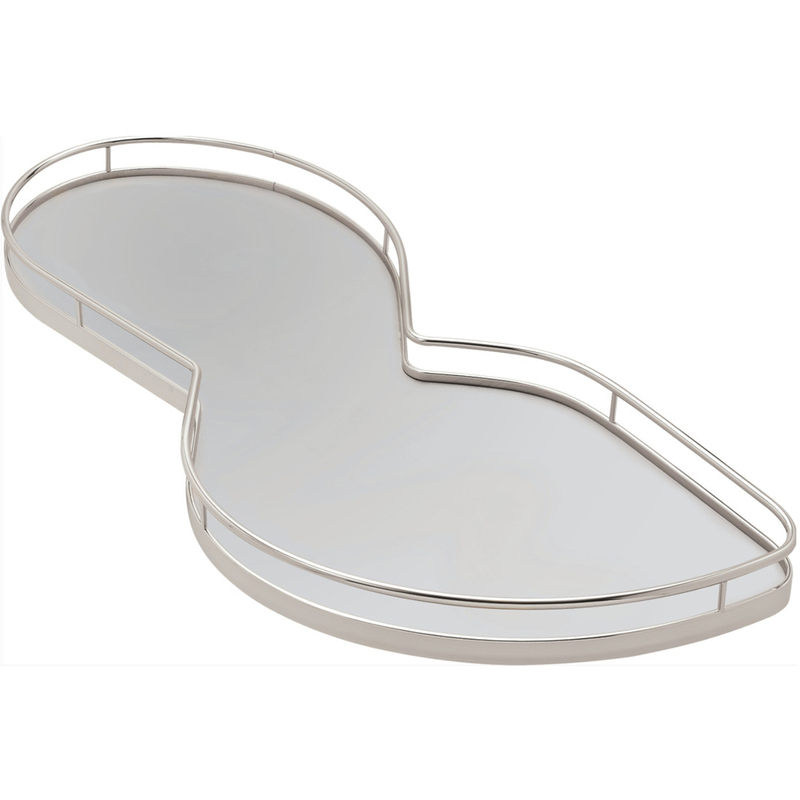 The trays are available in 2 different sizes for framed and frameless cabinets. 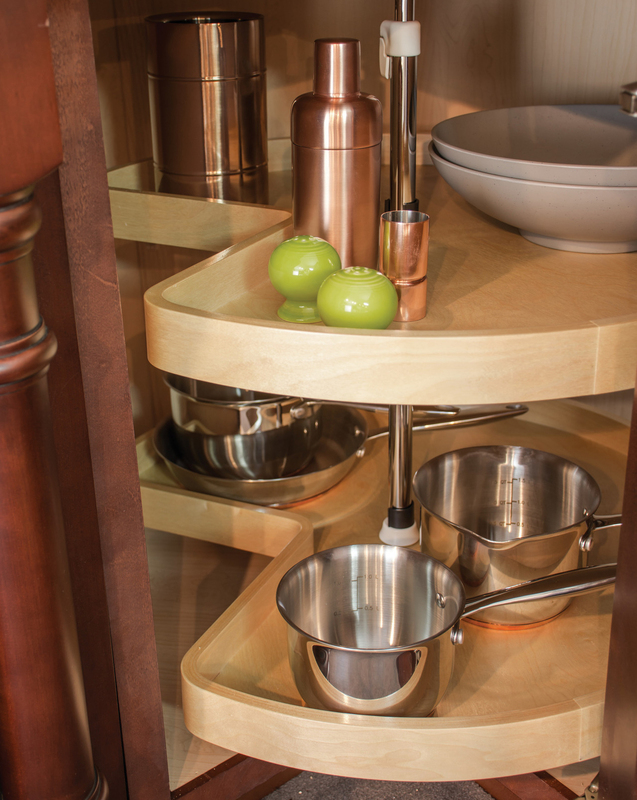 These corner systems work with overlay and inset doors. 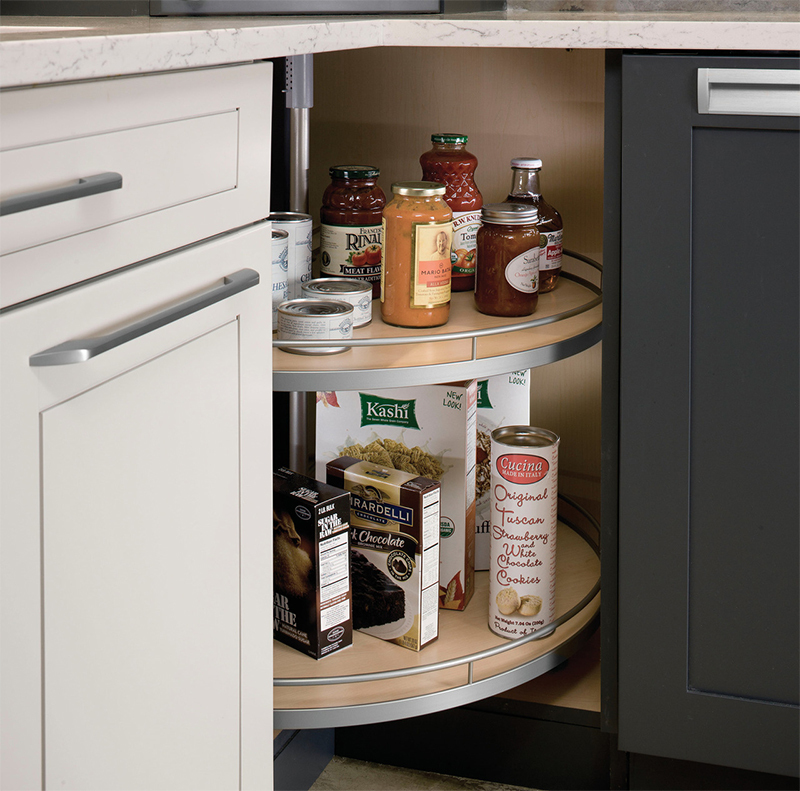 Perfect for both framed and frameless cabinet designs, the Revolving Three-Quarter maximizes storage space in style. 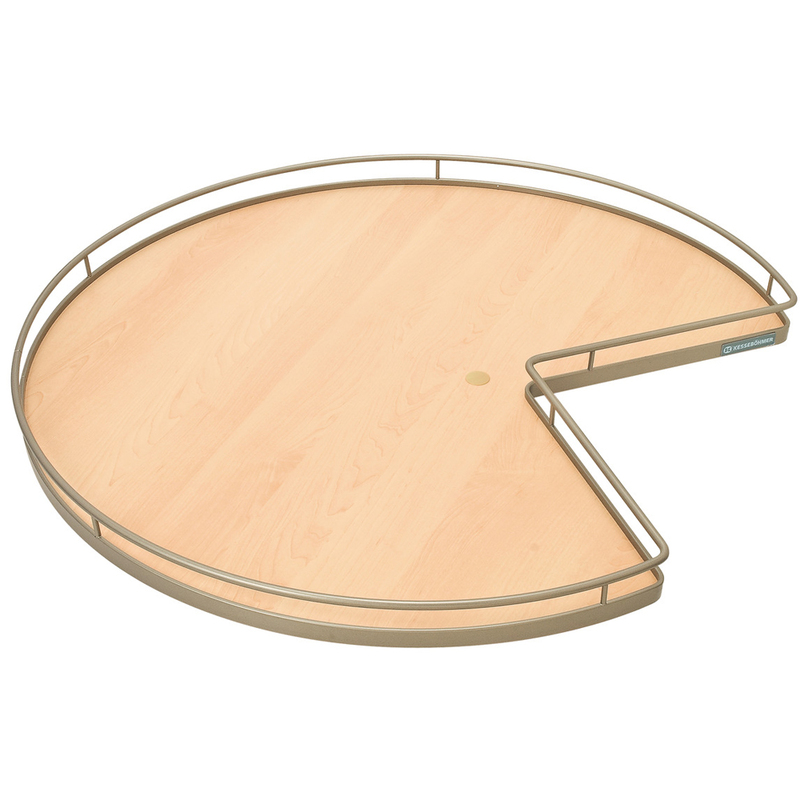 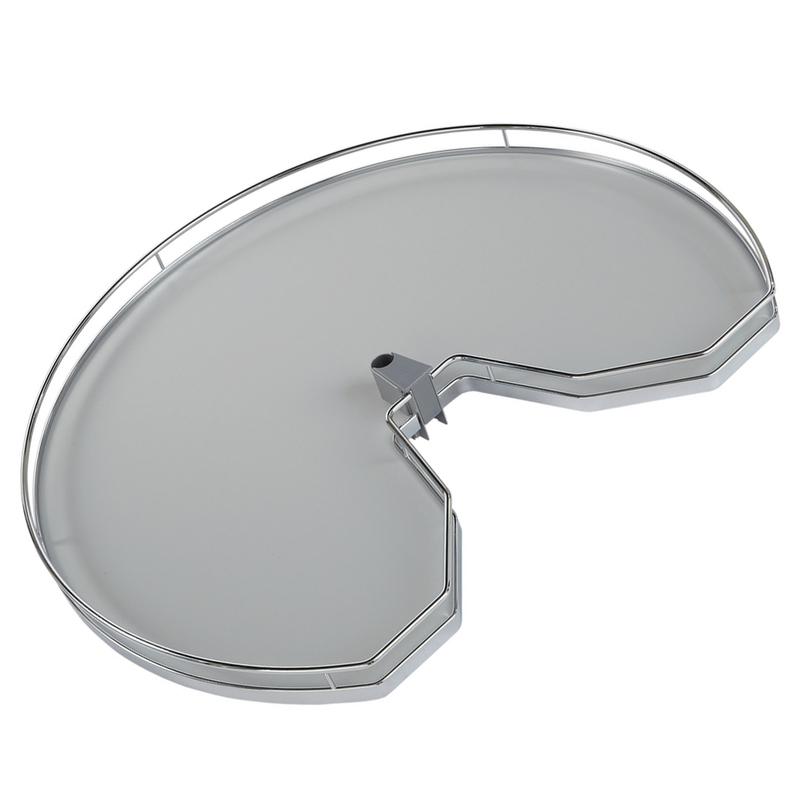 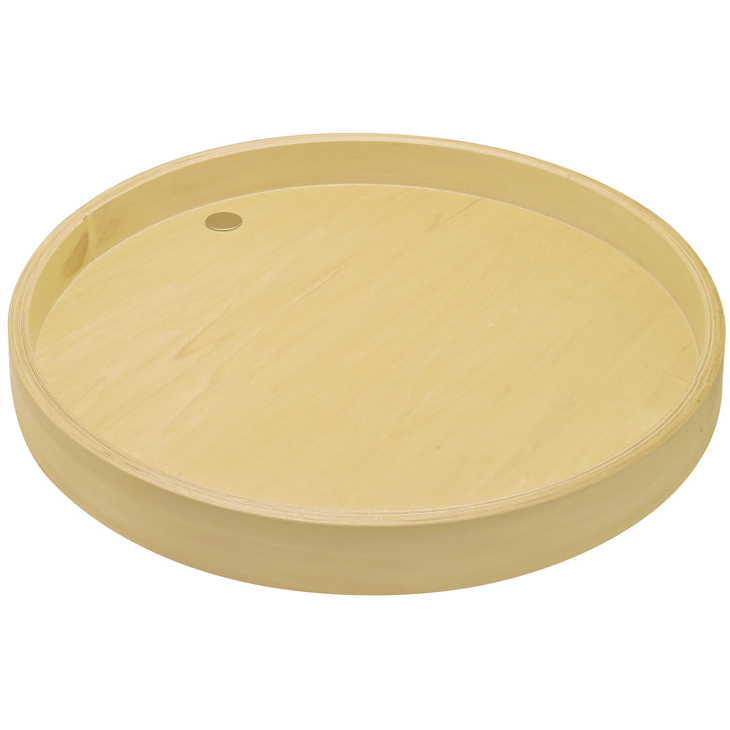 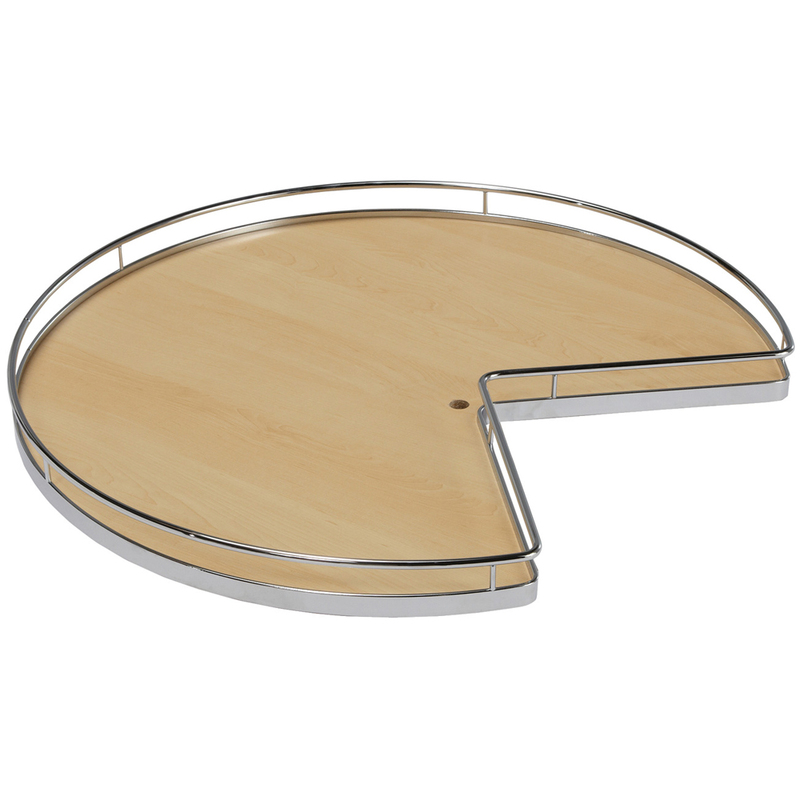 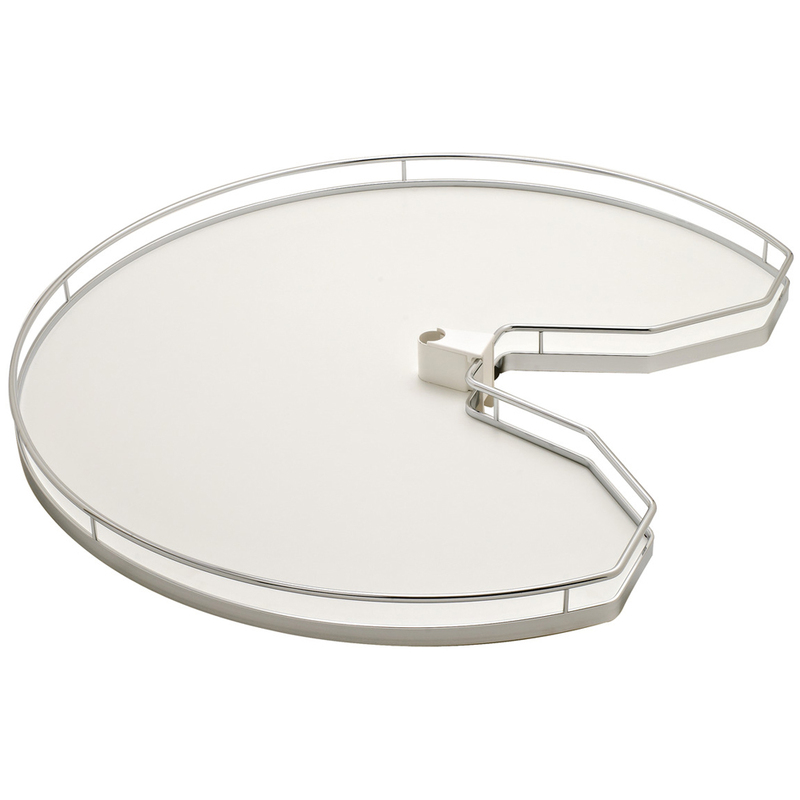 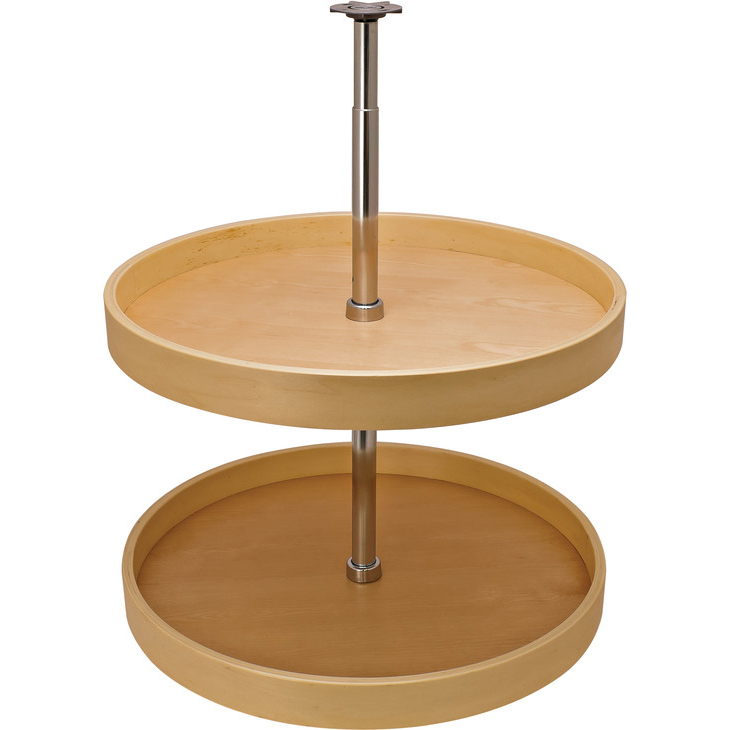 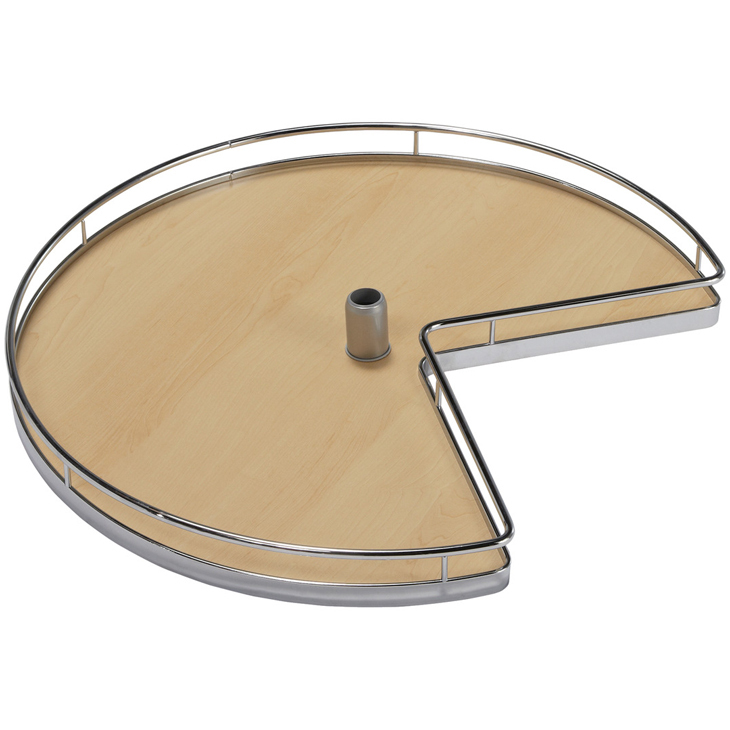 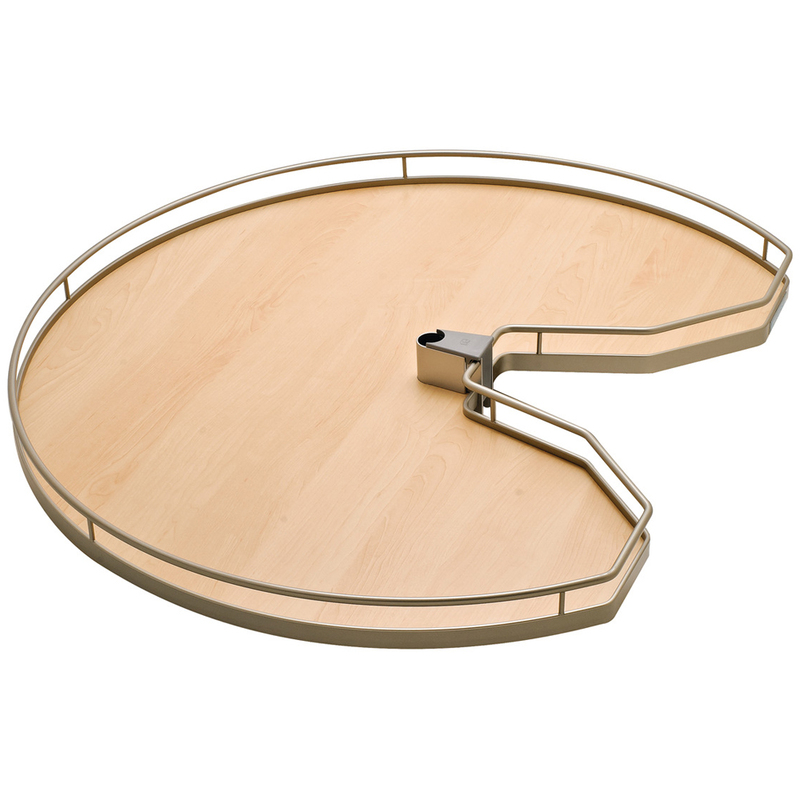 These Lazy Susans from Hafele come with 2 three-quarter round trays in 31 7/8" diameter. 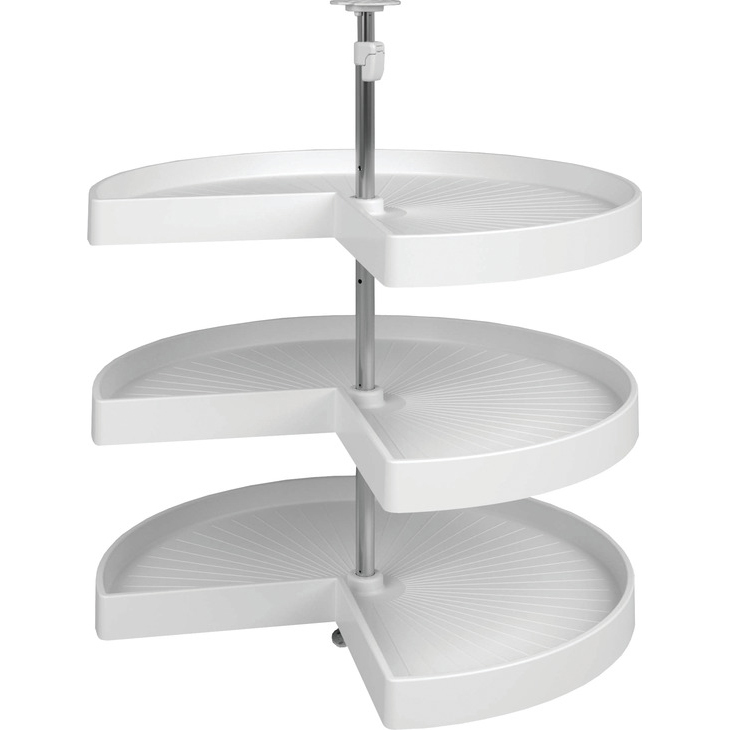 The melamine shelves with steel surrounds are available in 4 finishes. 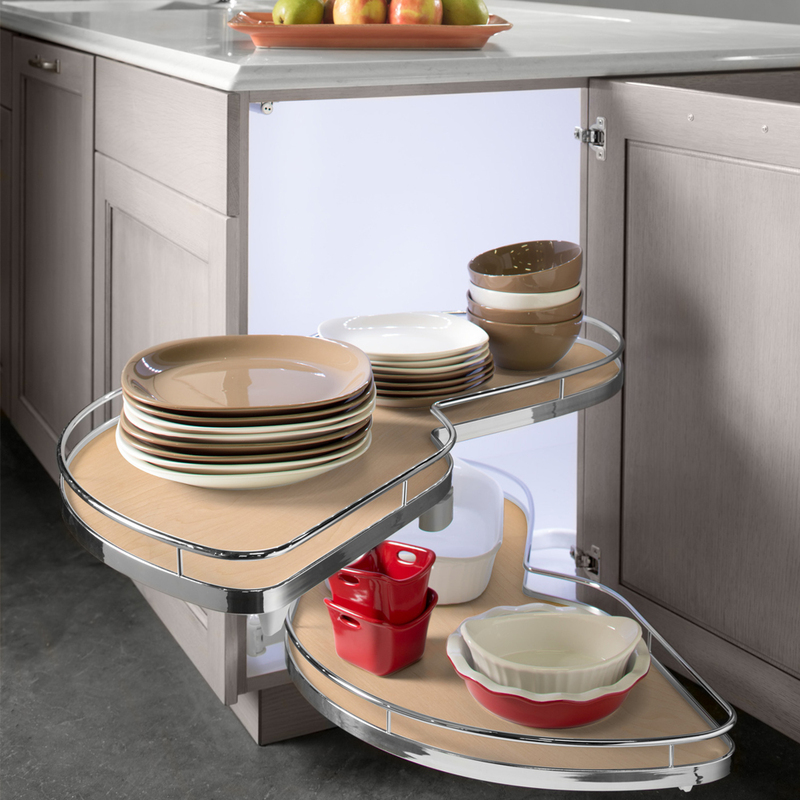 For Corner base units: 36" x 36"
The Corner Cut Shelf Set from Hafele mounts to the door of the corner cabinet or can be used behind pie-cut hinged doors. 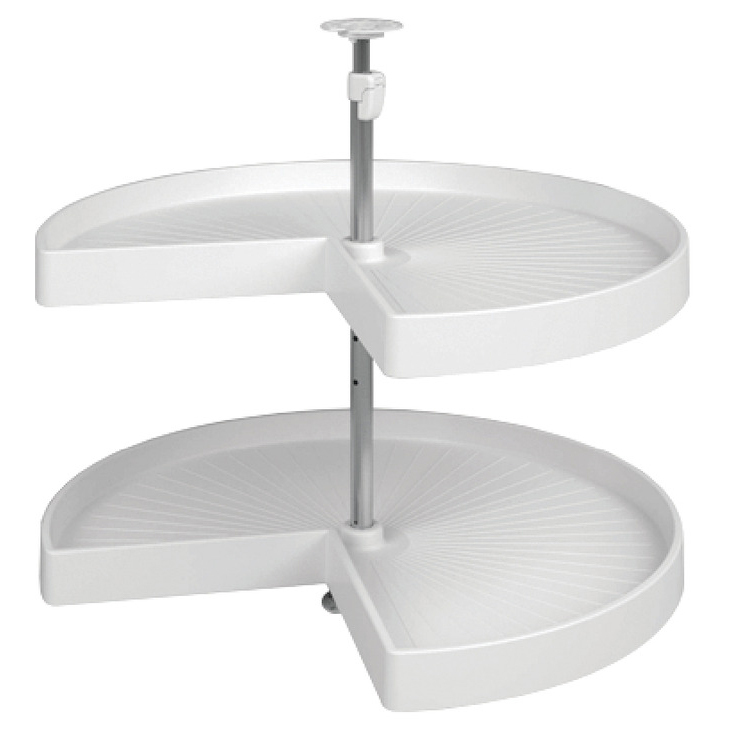 These shelves feature two high-impact, polystyrene shelves, a chrome-plated steel post and nylon bearings for durability. 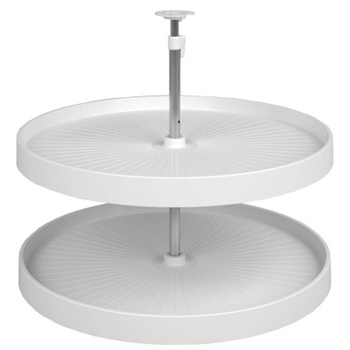 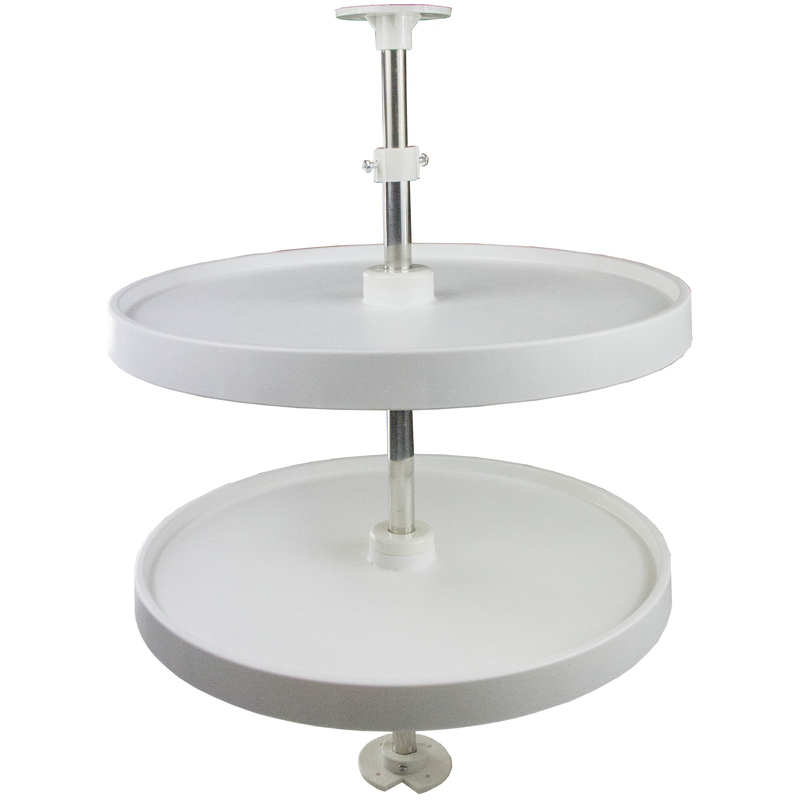 The shelf set is available in different sizes and comes in White to match any kitchen. 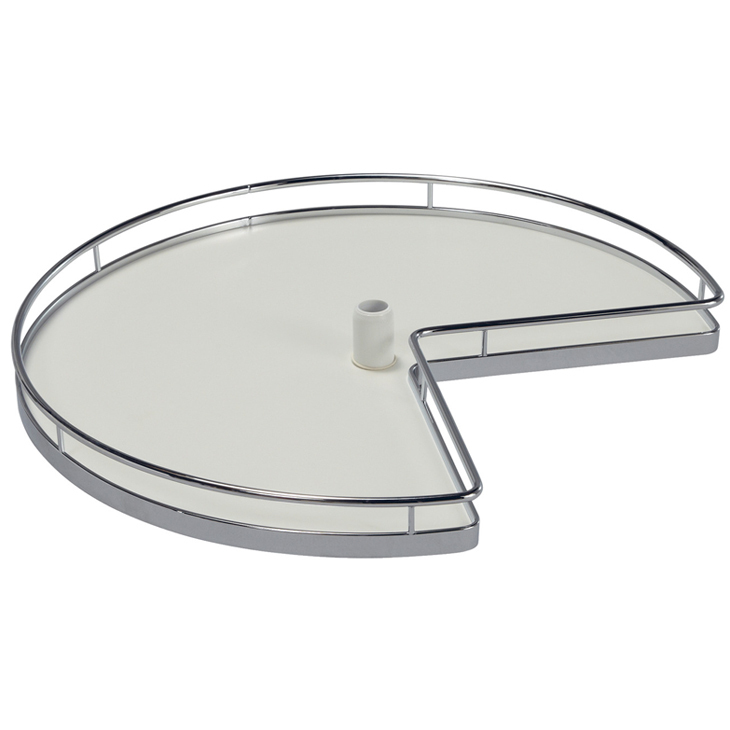 Pre-drilled holes make it easy to attach to the door. 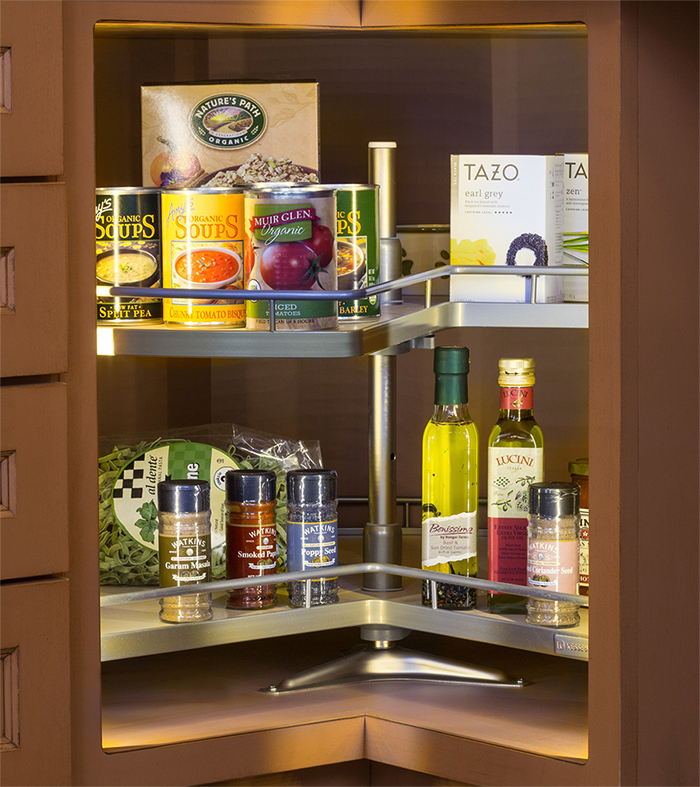 Inside tray rim height: 1 1/8"
The Corner Cut Shelf Set from Pride Industrial offers an economic option for revolving shelves and features two plastic shelves and a chrome-plated stainless steel post for durability. 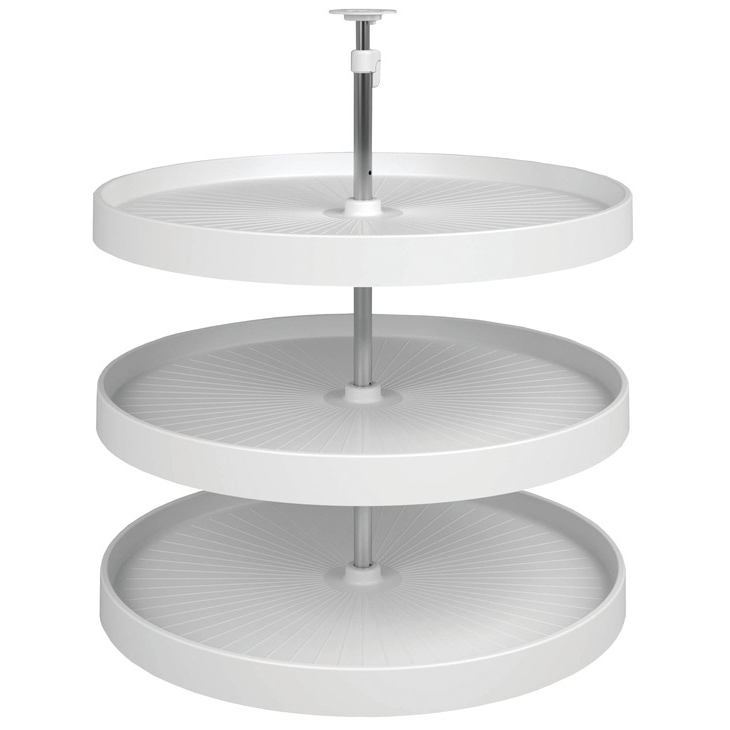 The shelf set is available in different sizes and comes in White to match any kitchen. 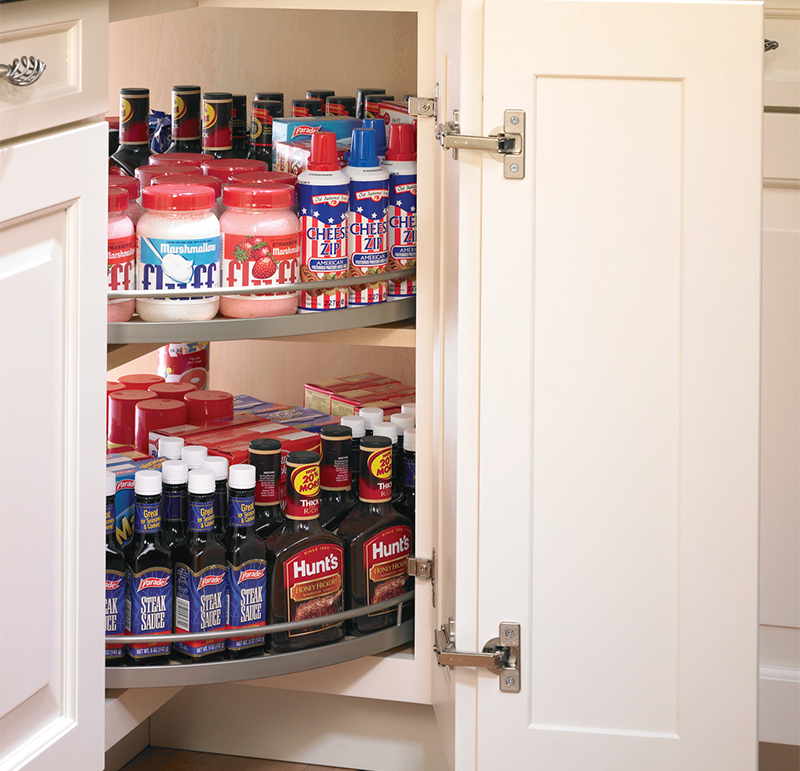 For full height door and door/drawer applications. 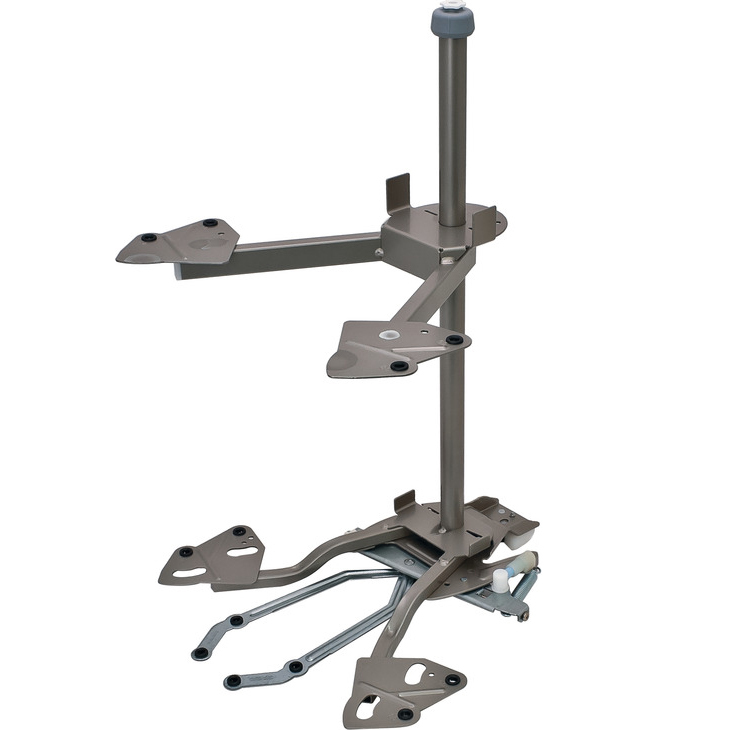 Shelves are height adjustable every 2". 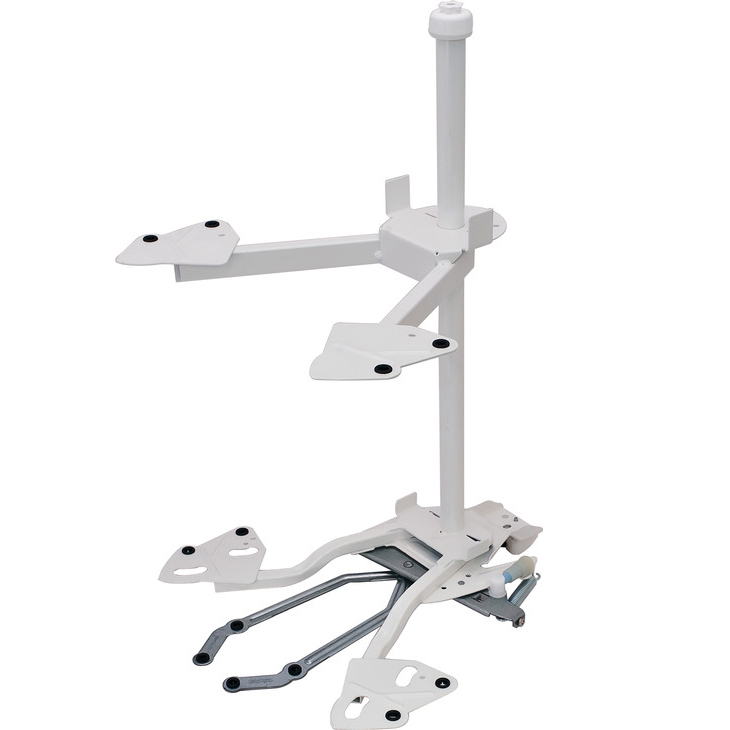 Please consider if a filler strip is needed based on your application. 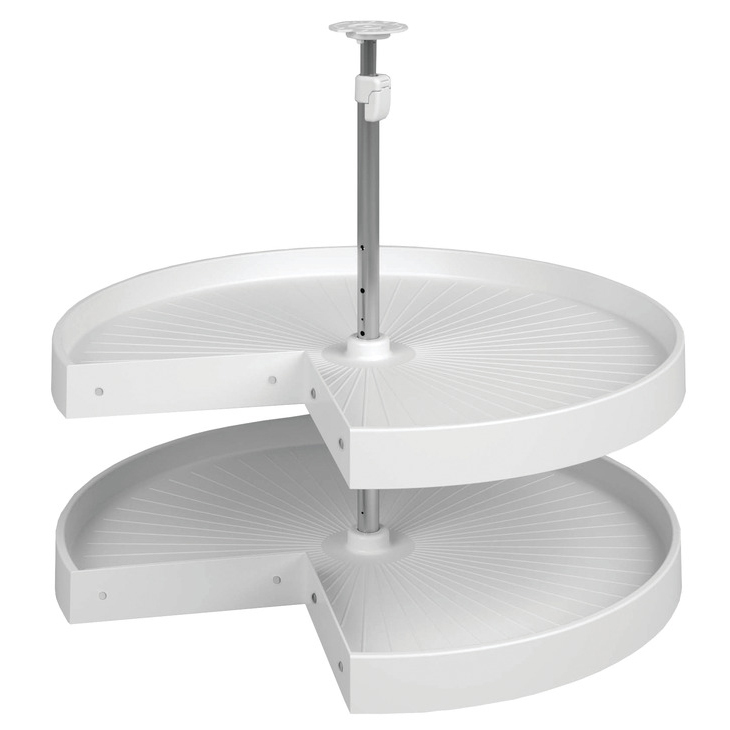 Maximum Weight Capacity Per Shelf: 55 lbs. 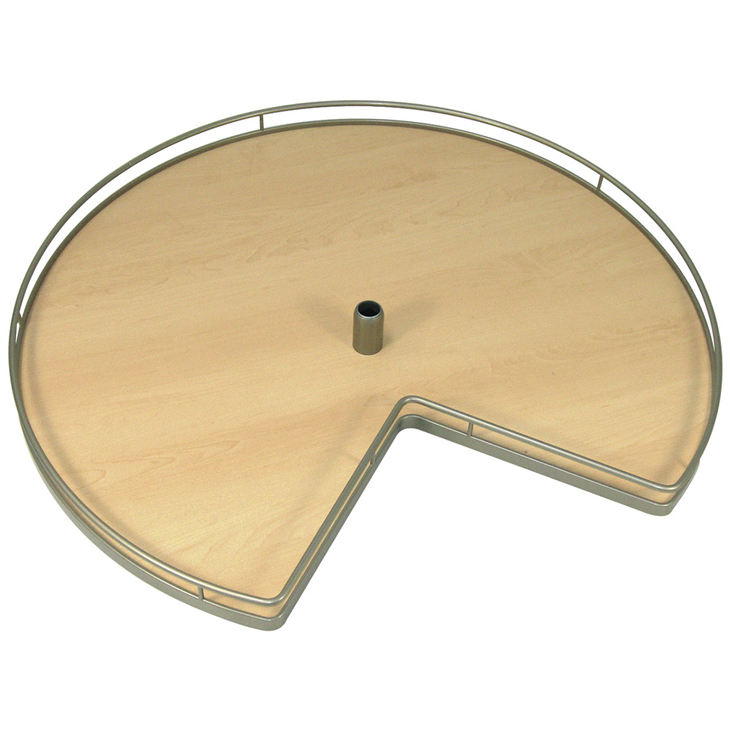 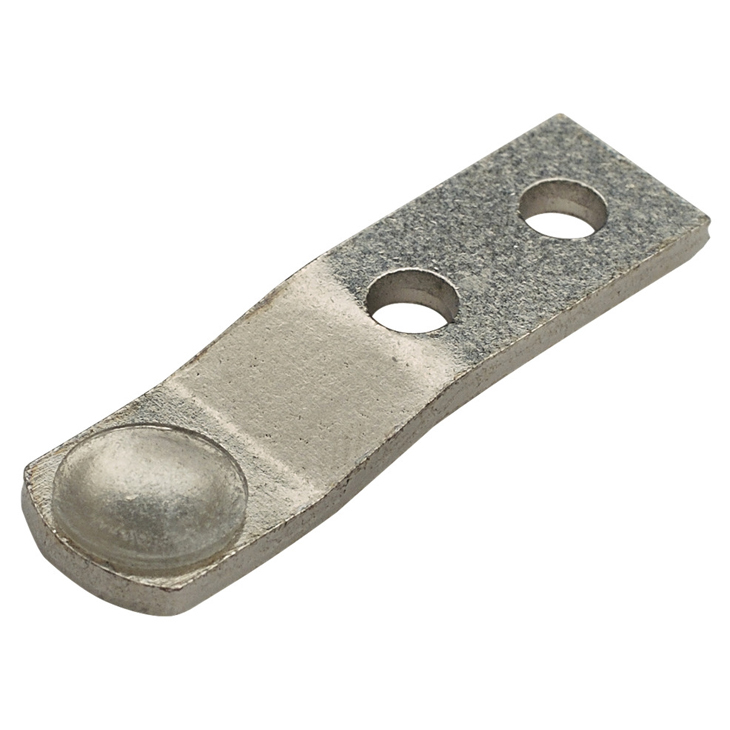 Internal Cabinet Hieght: Minimum 21 1/2"